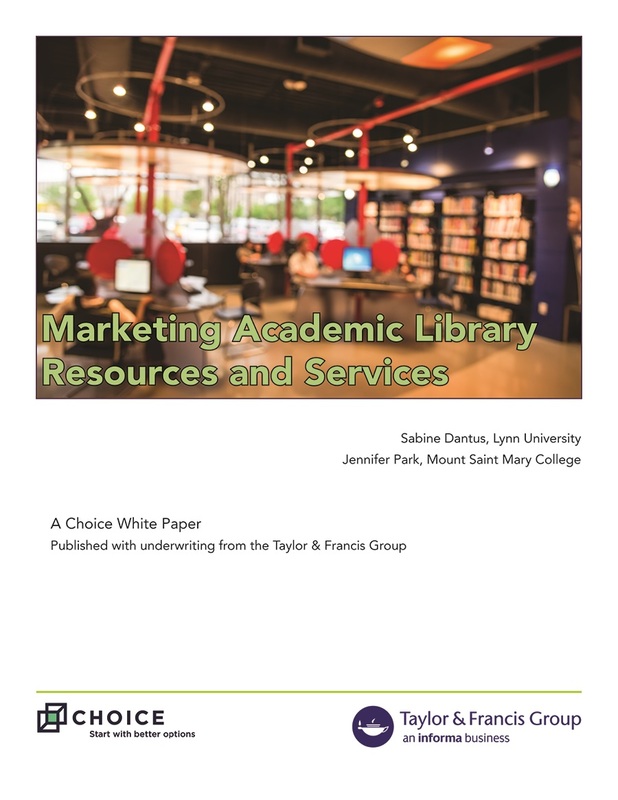 Researched and produced by Choice and written by Sabine Dantus of Lynn University and Jennifer Park of Mount Saint Mary College, the white paper provides an overview of current academic library marketing activities. The work presents an empirical look at how well libraries are promoting services and resources, what tactics they use, which tactics are successful and which are not, and where libraries are finding the staffing and/or funding to do so—with a special focus on digital resources. Funding for this research was provided by a generous contribution from the Taylor & Francis group. “Marketing Academic Library Resources and Services” has been published under a CC BY-NC 4.0 license and is available on the Choice 360 website. Choice is a publishing unit of the Association of College & Research Libraries (ACRL), a division of the American Library Association. Founded in 1964, Choice has for over 50 years been the premier source for reviews of academic books and digital resources of interest to scholars and students in higher education. Please visit Choice at www.choice360.org for more information.